DAVID LE/Staff photo. 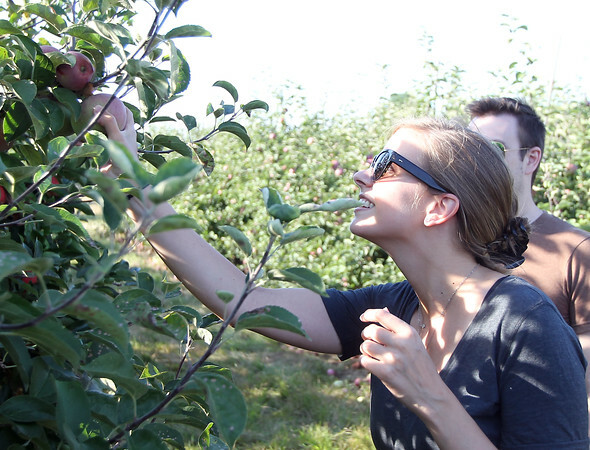 Rachel Saeby, of Rockport, selects an apple while apple picking at Russell Orchards in Ipswich on Saturday afternoon. 9/19/15.